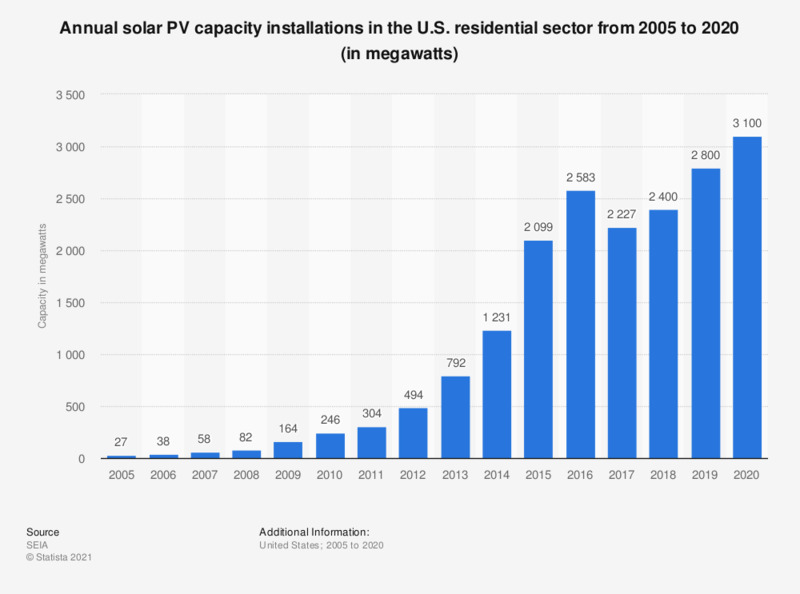 This statistic represents solar photovoltaic capacity installations in the residential sector in the United States between 2005 and 2017. In 2017, residential sector PV installations reached a capacity of 2,227 megawatts. The figures for 2005 through 2016 are taken from previous editions.